Dripping Springs is a suburb 23 miles Southwest of Downtown Austin. Grab a pint at the Twisted X Brewery. The Tasting Room is open Thursday through Sunday and features small batches of craft beers only available in the tasting room. Sample these specially made Twisted X flights full of samples from $2 to $3 each. Take a stroll through the Solstice Gardens. Solstice Gardens specializes in yard art and unique plants native to the Dripping Springs area. It’s worth a trip, though, even if you aren’t in the market for something to take home. Closed Mondays. Cheers to a trip to Deep Eddy Vodka Distillery. Stop by their tasting room and try their award winning vodkas. 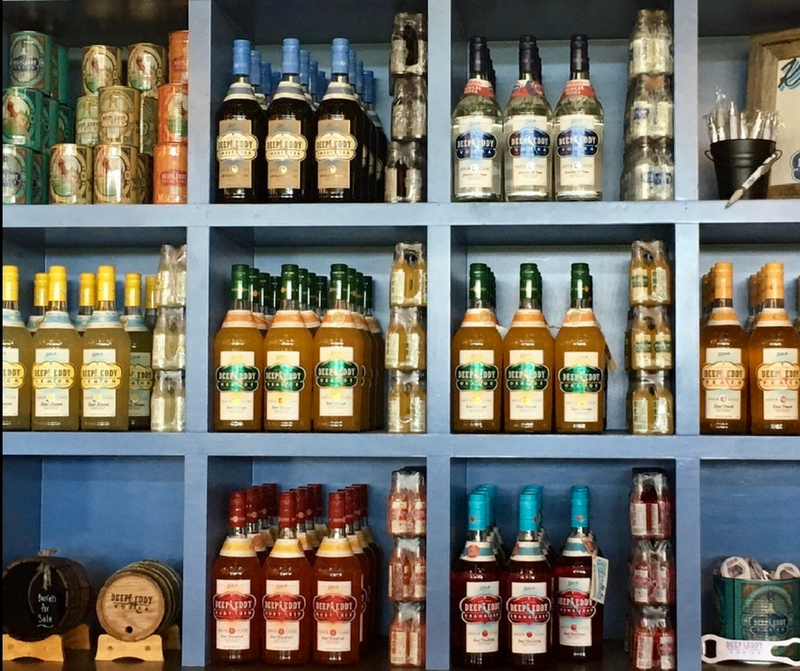 They have specialty cocktails only available at the distillery and tasting flights available. Open Thursday through Sunday. Take a dip in Hamilton Pool (advance reservations are required and can be made here.) This preserve is a natural area with an amazing natural pool and grotto that was formed when he dome of an underground river collapsed due to massive erosion thousands of years ago. The water is breathtaking, but as it is natural, sometimes bacteria levels get so high swimming isn’t allowed. Swim, climb, or hike at Reimer’s Ranch! This park is known for its pristine condition and has tons of chances for adventure including swimming, hiking, rock climbing, mountain biking AND fishing spread across its 2400 acres! $10 per car, $15 on summer weekends and holidays. Open 7am to twilight. All that adventure worked up an appetite? Make a stop by Rolling in Thyme and Dough! Delicious sandwiches on homemade bread, plus in-house baked pastries and other delicacies. Want to make your home in Dripping Springs? Apartment Specialists can help! Give us a call today at 512-241-1150 for our expert knowledge of the best apartments and deals in Dripping Springs or anywhere in the surrounding area!